WANT TO PASS YOUR DRIVING TEST IN LONDON? 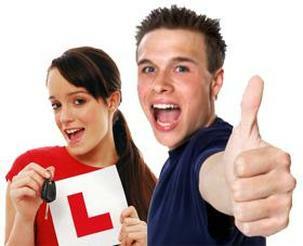 For £1,200 we provide a 100% guarantee that you will pass your driving test in London. First Driving Lesson in South London for Just £10! If you are looking for the best intensive driving course in London you've come to the right school to help you pass your test in, we can arrange your test in the quickest possible time, in London Driving School and its detailed driving courses in London are the only clear choice of courses. We can help you pass your test the first time! Driving is not rocket science and that's how we teach. We will provide you with practical lessons and a host of online driving aids that will give you the theory and knowledge you need when driving so you quickly understand the mechanics of a car and how to drive. 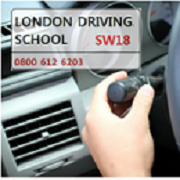 We are one of the few driving schools in London offering a Guaranteed Driving Test Pass. This covers all the driving lessons you will need to pass your driving test and includes vehicle and driving instructor for the day of your driving test. If you learn to drive in South London with our Driving Instructors you will be able to drive anywhere in the world. Don't be put off with motoring on busy London streets, it is probably the best place to learn and will prepare you for anything motoring has to throw at you. Our School provides a vast range of lessons to suit all individuals needs in London, each designed to help you achieve your goals in the quickest possible time, we make you ready for your test and ultimately you will now when you are ready as you will know when you have the confidence and skills required to drive safely and ultimately pass your practical test. All our Qualified DSA Approved professional driving instructors in South London, will ensure that all driver lessons take place in a focused, friendly and relaxed environment so that you develop the safest driving techniques and skills along with the necessary habits that you will need in your driving life in South London. Our Intensive and Crash Driving Courses with our South London Driving Instructors will help you pass your driving test in only 2-3 weeks time whilst ensuring you are fully at ease and confident in your abilities on and off the road. Whatever you do learning to drive can be one of the most rewarding things you ever do. Don't delay get driving in South London Today. Learn to drive in South London and get driving quickly, we provide great lessons and courses at competitive prices in your areas. and we'll quote you a lesson package that will get you driving quickly and cheaply with the best instructors found in London. Let us help you to learn to drive today.